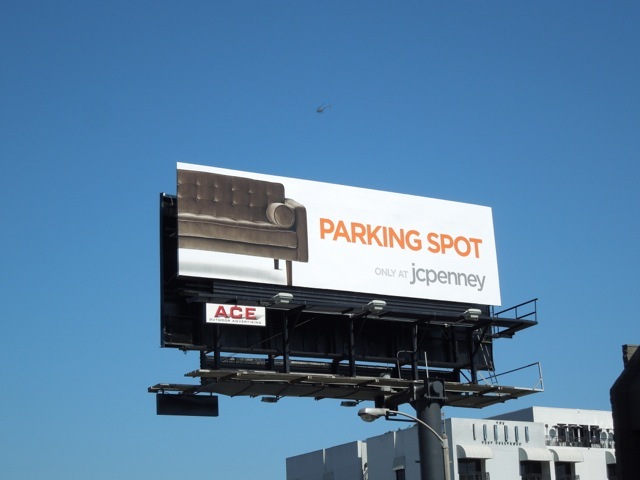 To shout about their new interiors brand, Happy Chic by Jonathan Adler, J.C. Penney has this fun billboard duo on opposites sides of the street along L.A.'s infamous Sunset Strip. 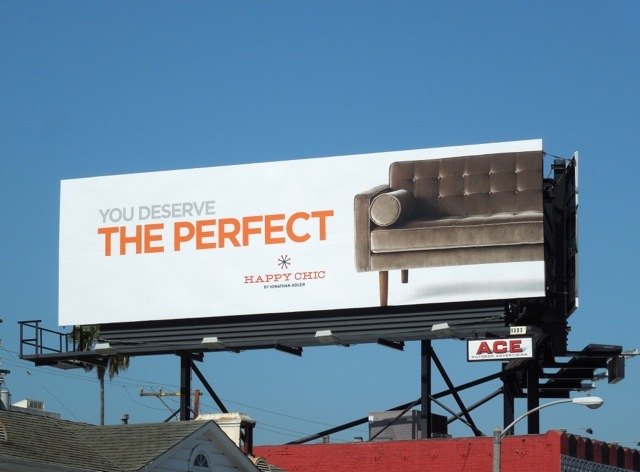 Splitting the sofa and the copy across the two billboards certainly is a great gimmick to catch your eye along this busy commuter corridor. 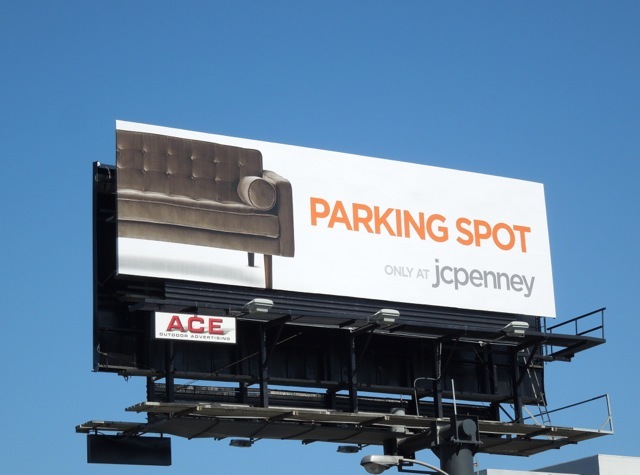 One of many new brands at JCP, Jonathan Adler's stylish collection includes furniture, bath, bedding, kitchenware, lighting and decorative accessories. 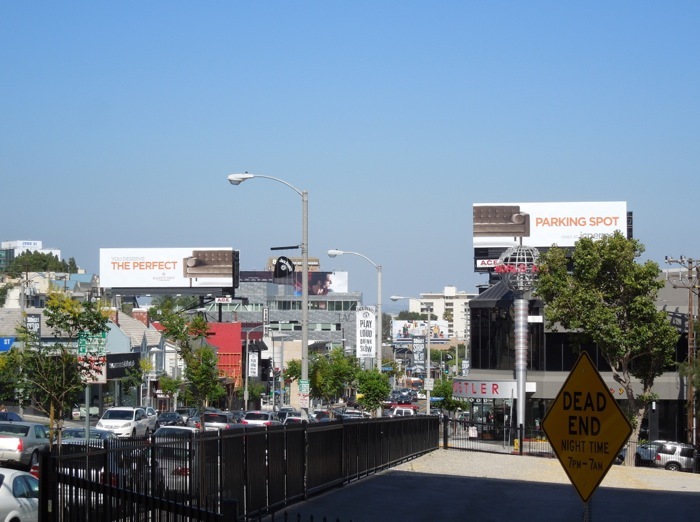 This clever bit of billboard placement was snapped along L.A.'s busy Sunset Boulevard on May 30, 2013. 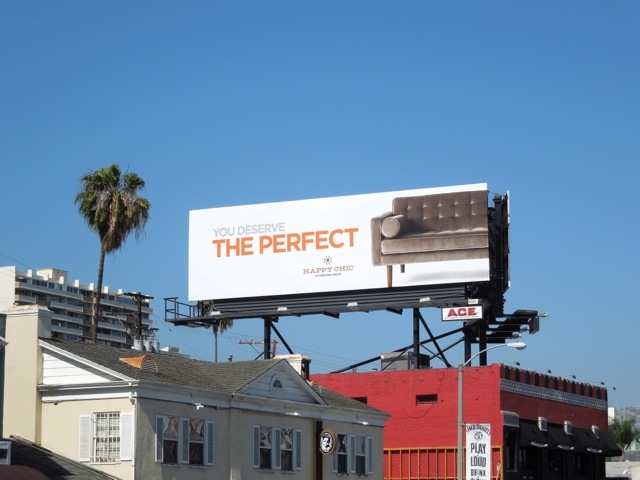 Just make sure when you go to the store they don't try and sell you half a sofa just because they say it's designer.